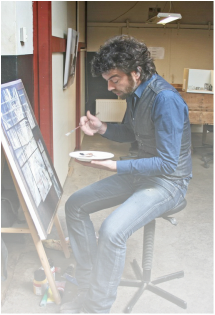 I was born in Kampen, Holland and graduated from the Art Academy in Kampen in 1996. The Natural History Museum of Bern Switzerland. Working there was of great influence on my current work. I paint, draw, shoot pictures, make model constructions, and work with digital photo editing. In my conceptual art all of these disciplines come together.